Apart from Lotus Notes NSF Files to HTML, the software converts NSF files in more than seven file formats. NSF to HTML Converter Software provides two options i.e. create collection & open collection. Choose create collection if you are new user. Click on scan file option given in menu bar. Then choose nsf file from list. Browse file from local storage and then click on add. NSF File to HTML tool scans & loads file in quick time for preview. NSF file to html conversion tool allows to find specific emails based on certain query. Click on check box correspondence to desired emails & right click on it to export. Use export option given in menu bar for bulk conversion. Choose html file option from list and then apply multiple option for extra ease. Browse location to save file and then click on OK. I have some lotus notes nsf file which I want to convert to web supported format. There is manual method exists for this by configuring the domino server settings which automatically create the preview of lotus notes nsf file to html. But I have tested this method but did not get any satisfaction with results. Most of the data get corrupted or lost. So I want a solution that can export nsf emails to html format. Does the software locate the notes nsf file automatically? What is the minimum hardware requirement to install the software on Windows 7 professional? How software maintains the internal structure and sustains the metadata information? Are the attachments also get converted to html with the emails? How can I sort emails on the basis of multiple attributes such as date, time, to & from etc.? Is there any facility to remove the duplicate emails? I am totally agreed with you that the traditional method of performing the conversion of nsf emails to html is so sophisticated that user gets confused in between the process. As a result of which data gets corrupted and generates frustration as well. So the use of the professional tool like NSF to HTML converter is highly recommended. You can easily locate the nsf file with the help of the tool. It only requires the minimal specification to installs the software on any windows version. There is the option available with the tool to maintains the default structure and sustains the metadata as well. The email attachments also get converted with nsf emails to html. 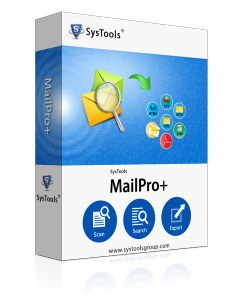 With the help of tool you can easily sort and manage your emails and also remove duplicates emails as well. Is there any limitation applied for the file size? No, Notes are not require to run the converter application. This is a standalone tool to export names.nsf to web html software. How can I search the NSF file from my system? No, there is no size limitation for the NSF files that are input to the nsf files to web html converter conversion tool. You can load multiple NSF files and view the content. Can I export selected mails to Web HTML format? The NSF files to HTML converter tool allows you to export the desired mails to HTML, there is no restriction. In-order to convert the selective mails, user will have to check the checkbox provided near to each mails. To which extend the trial version is limited? You can take a try with the trial version available online. However, it is limited to the export of 50 items and only two NSF files can be loaded. Apart from that, NSF file size is limited up to 2GB. The traditional way of doing the conversion of nsf to html is so complex that it need expertise. On the other hand, NSF to HTML Tool is a preferable software to convert the nsf emails to html with attachments. It has the capability, technicalities to easily export the lotus notes files to html. It makes task easy and simple that even an illiterate person can attain the expertise in its operation. So If you want the simple and efficient conversion of nsf files to html then you will definitely require this tool.